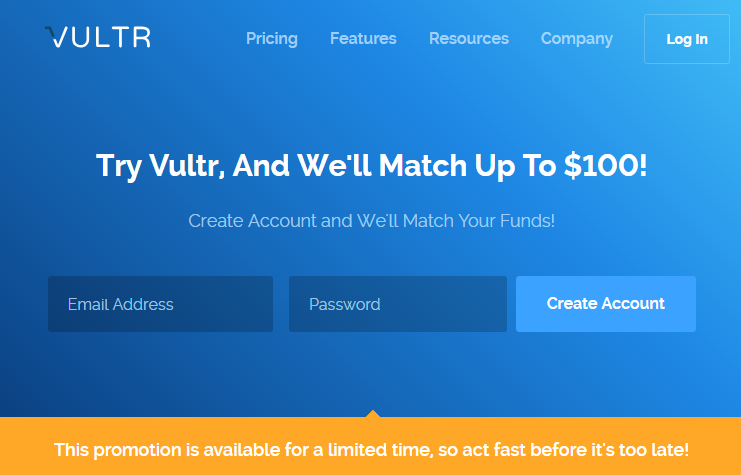 Try Vultr, And We'll Match Up To $100! Create Account and We'll Match Your Funds! For only new account . Duplicate accounts are not eligible for promotions. Any unused promotional credit will expire 12 months after issuance.